Sigma Beauty is a premium makeup and beauty products brand providing customers a wide range of high quality, affordable solutions garnering a cult following. The 90% female team has seen success after success from its first essential kit to partnering with influencers with its Paris Palette. Sigma Beauty has continued to push innovation with several patented and award-winning beauty products. 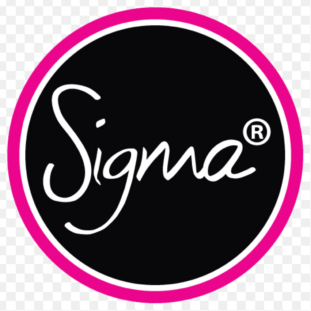 Sigma beauty operates through 250+ retailers and its online store. On the site, customers and beauty fanatics can find a wide variety of brushes, brush care, and makeup without the high costs. The Sigma Beauty affiliate program (#SigmaFam) allows partners to promote the brand’s extensive product line and exclusive offers while earning 10% commissions on all sales. This includes the opportunity to earn cash prizes! The Sigma Beauty program includes a wealth of creatives including affiliate banners, social media images, and a product feed updated daily. The program includes a dedicated manager and a robust tracking system for reporting and payment processing. As a Sigma Beauty affiliate, you’ll have the ability to promote some of the highest quality products in the beauty market. Sigma Beauty has the program open for all, but they look for passionate individuals not only in for the profit but to help the brand grow. We think the Sigma Beauty offers and promotions will fit neatly into your beauty and makeup site or community. We say this because the brand sticks to the one thing they do best: brushes and brush cleaning accessories. It’s hard finding a brand that doesn’t stretch itself thin from trying to enter every category of beauty products. Sigma Beauty sticks to producing quality brushes and their commitment has shown great reward through a passionate community and the ability to keep prices to a premium. In all, the Sigma Beauty affiliate program would fit perfectly in your set of beauty offers. Customers receive a great product, you earn good commissions, and its program has regular rewards – that’s certainly nothing to blush at!